Exactly same as picture! Comes with both Sides! Purchase new Jeep Grand Cherokee Euro Headlights at discounted prices from K2 Motor. We carry a wide variety of brand Euro Headlights easy to install on your car. 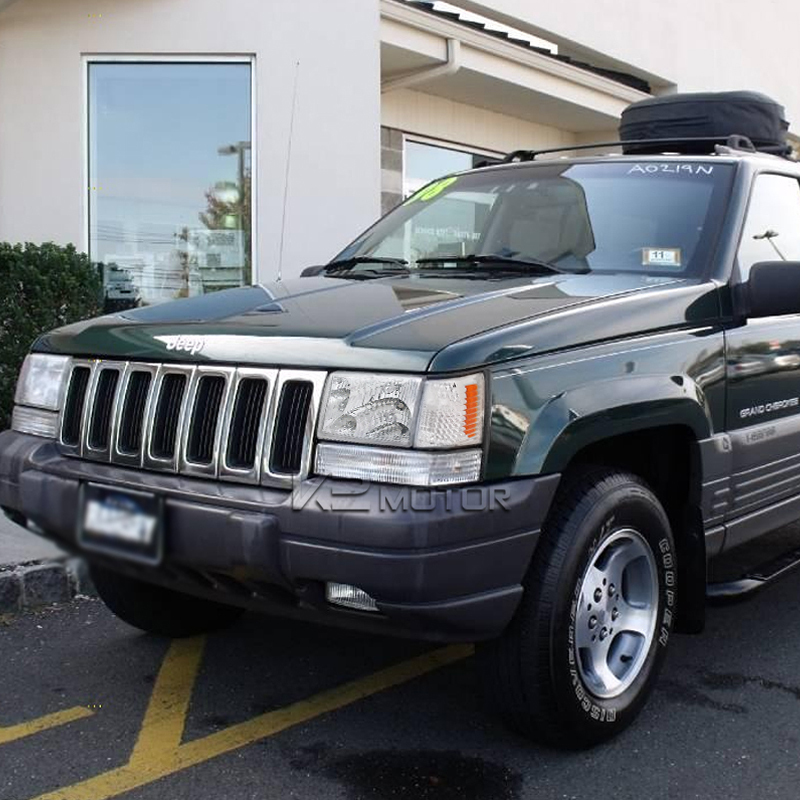 Customize your 93-98 Jeep Grand Cherokee with these subtle and stylish euro style headlights. It is time to get rid of your old and worn out OEM Jeep headlights and give your car a new sleek look. Made to be a direct replacement for your OEM headlights set, these lights are easy to install and no modifications needed. This headlight set for your 93-98 Jeep Grand Cherokee is also just as bright as your OEM headlight set.